Slaughter Pack is a modern darling. This past weekend was an excellent example of that. The SCG Modern tournament in Dallas on 8/3/2014 winner was a Golgari Midrange deck that ran two copies of Slaughter Pact in the main deck. Six of the Top 8 decks had Slaughter Pact either in the main deck or sideboard. There were a total of nine copies played in those six decks so most were using one or two. That still means that a sizeable chunk of the metagame wants a have a few copies handy. This can take the form of Jund, Pack Rat Black, and Junk (Abzan) decks that utilize it. The reprint in Modern Masters made it take a hit last year but I see these continuing to rise over the long term. Free removal is something we do not see very often after all. Avenger of Zendikar was around $10 before it was reprinted in the Jund Power Hungry Commander 2013 decks. It is a casual favorite that creates a swarm of chump blockers that turn into game ending threats fairly quickly. It is starting to creep back up but the recent flood of copies in a deck you can still pick up at a local Target or Walmart near you makes me think this has a ceiling of around $8. It will take a long time to recover if it ever does. If you just want to move them, you can purchase these as low as $4.01 and sell them for $4.39. Fauna Shaman is a fixture of Commander decks, Cubes and casual decks that run forests and creatures. There are an endless supply of creatures to tutor or reanimate. It sees some play in Modern Kiki-Pod variants and has a nearly unique effect. It is certainly easier to pick up a few shamans than a few copies of Survival of the Fittest. I see this one continuing to grow over the long term. It is still astounding that only six months ago this was a bulk rare. Control decks use it to keep a leash on Zoo and other aggressive decks. If it kills a single creature it has paid for itself. Modern UWR (Jeskai) Control and UWR Delver both have a pair in the sideboard. The deck consistently appears in Top 8s. However a sideboard card out of a single deck is no place to park your money. I would trade for Keranos, God of Storms out of the same deck. You can buy them for $5.00 and sell them for $5.23. There is also the possibility that UWR or RUG (Temur) standard decks will be using them soon. You may recognize Pithing Needle from half the sideboards in legacy. Just this last week at the SCG Legacy Open in Dallas half the Top 8 had a copy in their seventy five. That may sound like a ringing endorsement but it is a trap. There have been four printings of the card. The most recent version was Return to Ravnica. In a few months all of the standard players that have held onto a few copies to use in their sideboards will be unloading them. Most decks only need a single copy. I would get out before the market gets flooded. You can still buy these as low as $1.79 and sell them for up to $2.25. Rabble Red received quite a bit of attention this past week. It was a quick and aggressive deck which is usually a pretty safe game plan right after a shakeup in the metagame. It got a lot of attention on day 1 but failed to Top 8 on day two. Twenty two of the cards in the deck are rotating soon. The amount of buzz will cause other players to want to put this deck together and try it out. I would take this price bump and run. Speaking of rotating rare cards next we have Galerider Sliver. This is sometimes used as a flying one drop in Mono-Blue Devotion but that is it so far as the competitive scene goes. Modern Slivers still does not appear to be a thing and standard slivers is now definitely not a thing. Get out. Sell your Galerider Sliver and buy Galerider Sliver. The regular copies are $4.94 but the foils are only $5.31. You can even find the foils for as low as $4.94! These are the copies that people will want in their sliver commander decks so I say upgrade to foil and wait for slow steady growth. Flames of the Blood Hand is played in every flavor of modern Burn decks. Boros Burn has become popular as well as Rakdos Burn which recently got in the Top 16 in the 8/3/2014 SCG Modern tournament. I do not think that an uncommon is going to get much higher than $4. I think it is time to cash out of them. This card is essentially a bulk rare. It does see play in a fringe Modern Restore Balance deck as a play set in the sideboard but that is about it. I really cannot find much reason to recommend it but you can buy these as low as $0.66 and sell them for up to $1.10. That should make someone happy. Here is the biggest swing this week. Everyone was talking about Rabble Red but it did not put up the results to justify its spike. A lot of standard players are going to want to get their hands on it to brew and I say let them have it. M15 is still being drafted and so move them as quickly as you can. You can buy them for as little as $0.89 and sell them for up to $1.01. If you were able to get a lot of them cheaply then I say now is your time to strike. 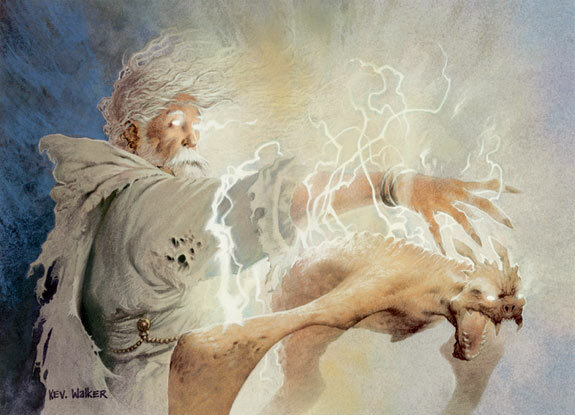 Standard Orzhov Control performed admirably at Pro Tour Magic 2015. Two of the Top 8 decks were Orzhov Control. That is the only thing keeping this about $3 right now. It will be $2 come September. Rotation is looming and no other format cares for the Blood Baron. You may have a friend who wants one for their commander deck or lifegain deck but that will be it. Get these out of your bind and trade them while someone still wants them. 90% of the time Commandeer is just a much worse Misdirection. It is legal but not playable in modern. Most spells you want to redirect probably have a single target. This used to be the budget card you played in Commander because you did not want to spend $20 on Misdirection. Now you can pick one up for $5 thanks for Conspiracy so who needs Commandeer? Extirpate is a sideboard card in several fringe legacy and vintage decks. It is not the kind of effect that most casual players are interested in. The reprint in Modern Masters increased the supply but the demand remained stale. This is a recipe for price deflation. You can still turn this around if you are stuck with a few copies. Vendors are selling them for $1.46 and some are buying them for $1.82. That is probably the best deal you are going to. Battlefield Forge is going to be used a lot over the next year. Any Boros, Naya, WUR (Jeskai) or RWB (Mardu) decks will want to run a few copies. It has been reprinted a lot though so I expect these to drop over the next few months while triple M15 is the draft format of choice. I would trade away or sell any you get in the short term. You should be able to pick them up even cheaper right before rotation hits. I really enjoy Modern Bogles but it is in a strange spot. It has a strong presence in online dailies but not in paper tournaments. You never see it even make Top 16. Without results the prices are not going to have much movement. If you are tired of sitting on Spirit Mantle you can still sell them for $1.50. The Planechase 2012 version is even better. It was printed in smaller quantities for you can purchase them for $1.50 and sell them for $1.80. Zioła traktuje się jako środki medyczne już od kilkudziesięciu lat, ponieważ są nadzwyczaj sklep zioła efektywne oraz wyśmienite dla organizmu. Ich forma aplikowania zdoła być rozliczna, jako okład, jako napar, herbatka.